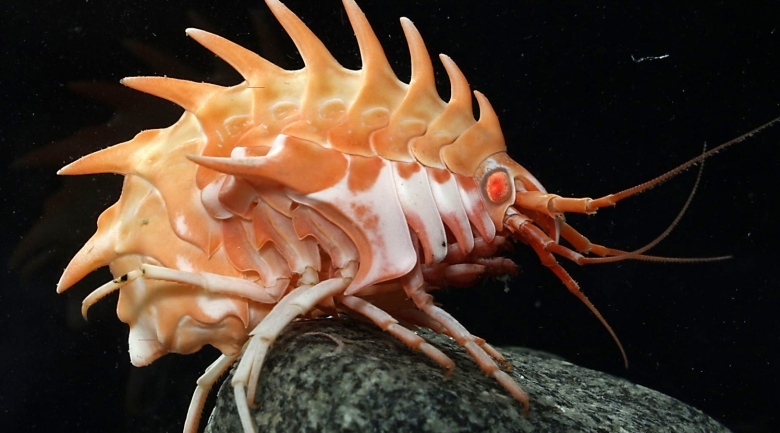 The "supergiant amphipod", which resembles a monster prawn, was found during an expedition to the Kermadec Trench north of New Zealand by scientists from the University of Aberdeen and Wellington’s NIWA marine research institute. Amphipods are normally up to three centimetres (around an inch) long and the University of Aberdeen’s Alan Jamieson said he was stunned to find the 28 centimetre (11 inch) giant when emptying traps on his research vessel’s deck. "I stopped and thought ‘what on earth is that?’ whilst catching a glimpse of an amphipod far bigger than I ever thought possible," he said.